On Good Friday (April 19, 2019), anytime between 8:30am and 11:30am, join the Westheights family as we remember our Lord’s death and celebrate how it changed everything. 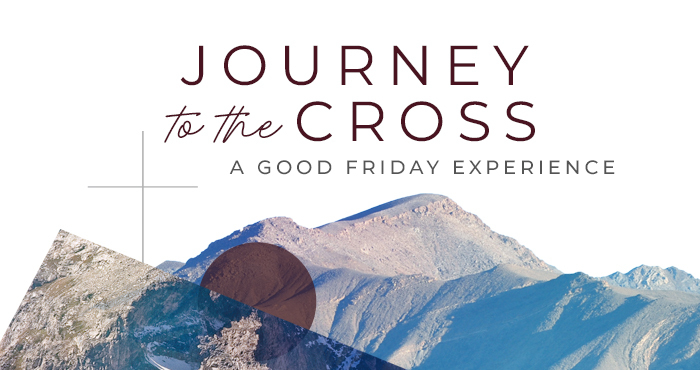 This year, we’re inviting families to participate in The Journey to the Cross experience together! This experience will take approximately 30-45 minutes. While we made every effort to ensure that all parts of our guided experience are child-appropriate, the Good Friday story is a serious and dramatic one, so please feel free to contact me (519-741-1986, ext. 803 or email kids@westheights.org) if you have any questions. The journey will be a quiet experience, possibly alongside other “travellers,” so as you explain and read to your children throughout the experience—and please do!—be sure to talk as quietly as possible. We have already been talking to the children about this unique “whisper activity” where they will be expected to whisper throughout if they would like to participate. Your enthusiasm for this special event will rub off, so help them to anticipate watching Mom, Dad, or others they know participate, and honour their curiosity by answering all their questions—even if you have to whisper! When was the last time your child saw you taking part in Communion? What a meaningful moment to share. To read more about this experience, read our earlier blog.